The teenage daughter of tobacco tycoon Travers Beynon, a.k.a. The Candyman, looks set to take the modelling world by storm. The Gold Coast native recently took part in a stunning beach photoshoot, looking every inch the professional poser. She appeared confident and in her element while modelling a stylish green bandeau bikini and high-waisted white briefs. While she is a regular fixture at her father’s wild house parties, Lucciana is making a name for herself away from the world of ‘The Candyman’. She previously spoke of her ambition to model for lingerie brand Victoria’s Secret. ‘When I finish school I’ll still be 17, so as soon as I turn 18 I’m going to move to America forever,’ Lucciana told the Gold Coast Bulletin in 2017. 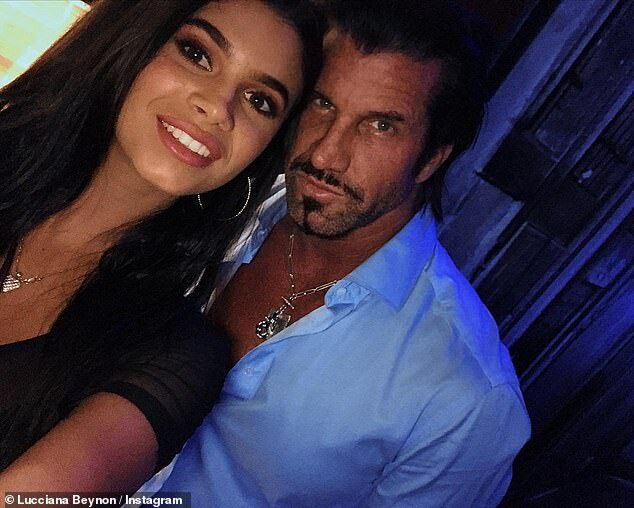 Lucciana, whose mother is Venezuelan former beauty queen Ninibeth Leal, also has a plan ready for when her modelling career is over. ‘Once my time is up, because you know modelling doesn’t last forever, I’ll get involved in the family business and invest in property,’ she said. Lucciana’s multimillionaire father is notorious for his extravagant parties held at the Candyshop Mansion in Helensvale, on the Gold Coast. Travers lives at the $3.7million, six-bedroom luxury property with his wife Taesha Beynon and their children.